Dr. Jay Platte g69’s history with the Fort Wayne campus spans nearly 50 years. A Music Education major at FWBC, Platte was primarily drawn to the campus to study under legendary director Dr. Rene Frank. As a student, Platte was heavily involved in vocal ensembles, particularly during Youth Conference. He directed the Singing Collegians from their inception and was appointed instructor even before he graduated. 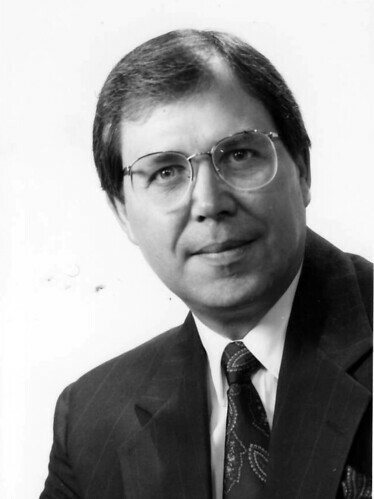 During and after pursuing his master’s and doctorate at Ball State University, Platte devoted all his energy to the Fort Wayne students as Music Department Chair, a position he held until 1992. Because he was deeply impacted by the Christian Service Department as a student, Platte remained committed to instilling a sense of servant leadership within his students. He exacted high standards in the classroom, yet developed deep and lasting friendships with his students. Platte always felt called to the Fort Wayne campus. When his position was eliminated in 1992, he remained to teach fine arts until 2006, when he entered early retirement. He has since played a vital role in the ministry of the Fort Wayne Alumni & Friends Resource Center. His deep connections to the campus and his knowledge of technology have been invaluable resources in developing the Resource Center’s online presence. With unwavering devotion, Platte continues to minister to alumni around the world. Dr. Jay Platte g69 devoted over 38 years to the Fort Wayne campus after graduating from FWBC majoring in Music Education. 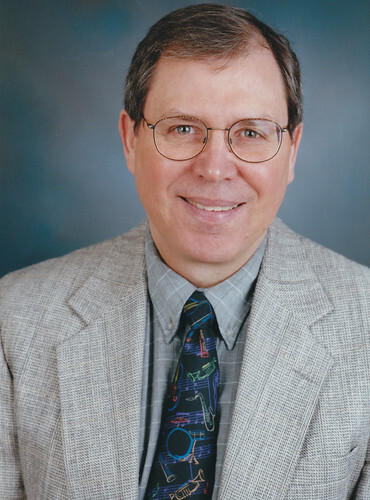 Heavily influenced by Dr. Rene Frank, Platte combined his passion for music with his interest in technology to implement several groundbreaking updates within the department. 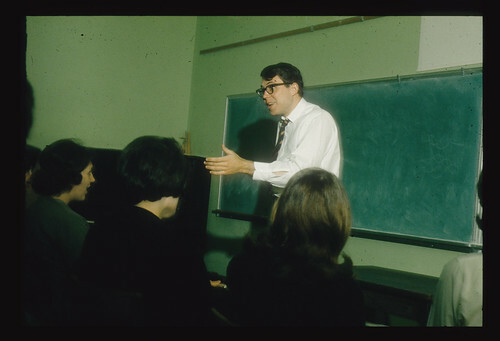 He was active in every sphere within the department, from audio engineering to teaching. Conducting choral and instrumental groups, musicals, teaching a variety of different courses in music history and appreciation, theory and musicianship, church music, Christian Worship, and electronic music were courses he taught during his career. His heart for students prompted him to remain at the campus despite a series of heartbreaking events in the 1990s. Even today, he actively serves the campus community through the Fort Wayne Alumni & Friends Resource Center. Platte’s first connection to FWBC was through Steve Morley g65, long-time athletic director and coach at FWBC. He first met Morley when their dads were both at Northwestern Schools in Minneapolis. When they reconnected, Morley encouraged Platte to visit FWBC, which he did in the spring of 1962. 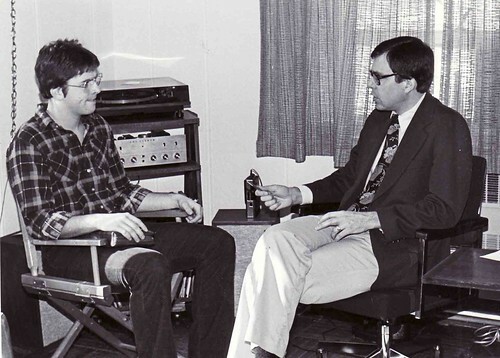 During his visit, Platte attended the college’s Cappella Choir’s performance of Bach’s “Jesu, meine Freude.” The quality of the program greatly impressed him, as did the head of the music department at the time, Dr. René Frank with whom he interviewed that same weekend. “Frank’s musical knowledge and talent was exhaustive,” Platte said. “(And) he knew his Bible from Old Testament to New.” This promise of a biblical foundation paired with in-depth musical training drew Platte to the Fort Wayne campus. Platte had some choices to make regarding his college choice. He was encouraged to apply to Taylor University, because both his mother and brother had attended there. He also was considering attending the School of Music at Indiana University, Bloomington. However, Platte sensed God’s calling to FWBC, and chose to enroll in the fall of 1963. His enrollment was delayed a semester when he was given opportunity to join a Youth For Christ International Teen Team. So prior to his first semester, he spent the fall of 1963 traveling with a Youth for Christ Teen Team—their very first interracial team—to Egypt, Ethiopia, Sudan. Nigeria, Liberia, Sierra Leone and Portugal. Upon entering FWBC mid-year, he had few opportunities to become involved with campus groups. He joined Chorale and enjoyed studying under Dr. Frank, but having been so involved prior to coming to campus, then not having much involvement had him considering transferring. Thankfully, Platte discovered a second home in the Christian Service office. There he met Miss Joy Gerig g52 & 66 who remained a significant influence in his life during his student days and the rest of her life. Through Christian Service he became involved in the Ambassadors Quartet, a traveling men’s quartet which included a trumpet trio. During the summer of 1965, they traveled 13,000 miles coast-to-coast. That spring, Platte also participated in Youth Conference, for which he composed the theme song, “Run the Race” with lyrics by Ron Hege g67. Youth Conference gave outlets for performance and arrangements of his music. In fall of 1965, the current director of Youth for Christ in Fort Wayne, Paul Robbins g60 and Joy Gerig, approached President Jared Gerig g29 with a plan that would provide FWBC with a more public face in the community. He recommended starting an ensemble to function as this public face, and the group was born. 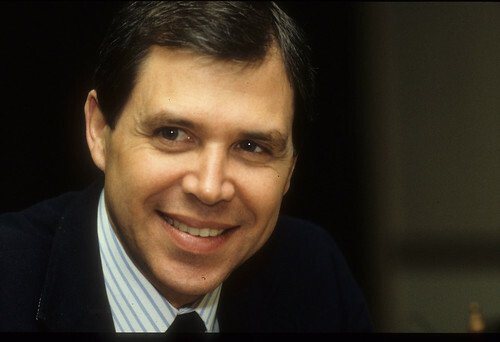 Platte was student director until Mr. Robbins moved for Chicago, and became director of the group in the second semester, arranging the repertoire for the particular talents offered by student participants. The name, Singing Collegians, was given to the group by Bill Weston, director of St. Louis YFC at the end of the year. The ensemble became widely popular, permeating the campus, churches and community. The group traveled and performed television specials and radio broadcasts, in addition to recording several albums. In 1968 the Singing Collegians was invited to the 8th International Congress of Youth For Christ, International in Kingston, Jamaica in February, recorded an LP in March, and also toured from coast to coast in the summer of that year. 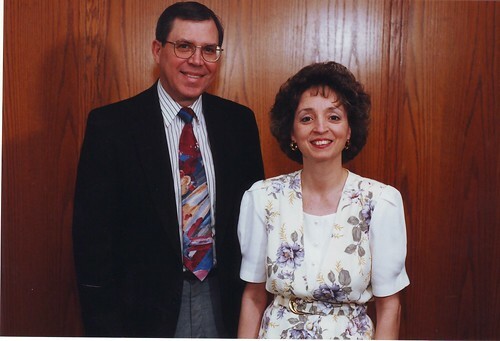 It was through FWBC and Singing Collegians that Platte met his wife, Shirley (Mertz) g69, an organist and music educator. 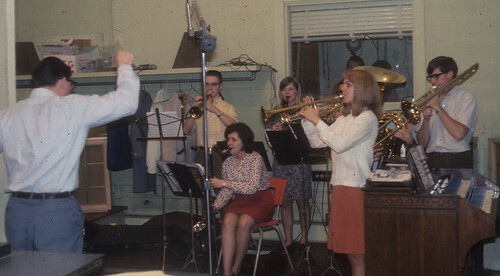 Platte joined the Music Department faculty while still a student in fall of 1967. 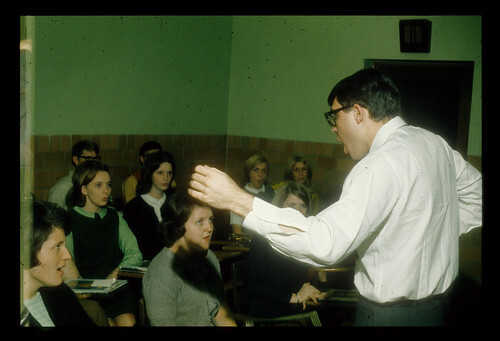 After Dr. Frank’s death in 1965 and several short-term attempts to hire a replacement, the college approached Platte to direct the Chorale and Oratorio Chorus as well as the Singing Collegians and coach for the Christian Service groups, and he accepted. 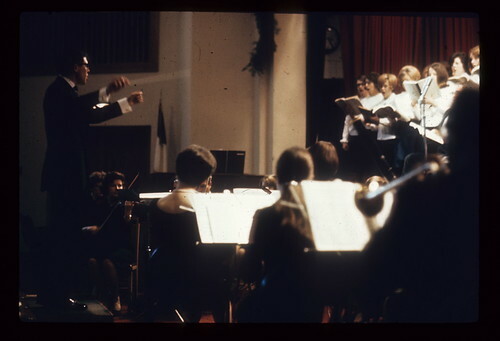 Platte assumed all responsibilities involved in leadership, taking the Chorale on tour and conducting his first performance of Handel’s Messiah, which he directed 12 more times at the college over the years. 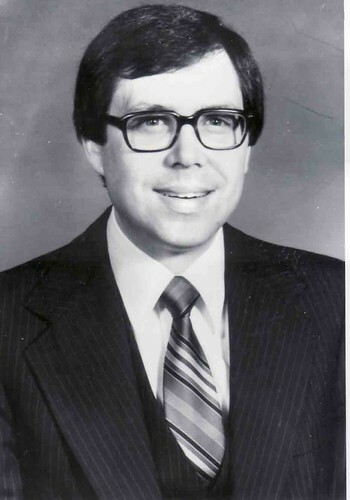 After graduating from FWBC in 1969, Platte pursued graduate degrees at Ball State University. 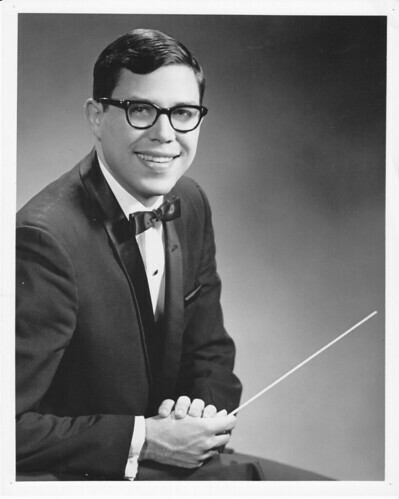 Platte received his master’s degree in 1971 and his doctorate in conducting in 1981. 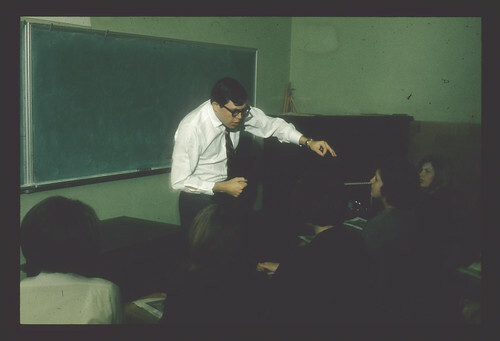 While at Ball State, he pursued external studies in higher education and computers. 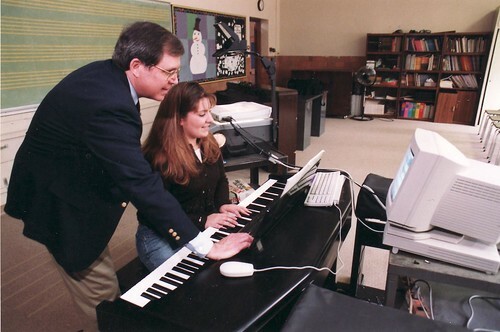 Computer-assisted programs remained a sidelight for Platte, and he was an early proponent of incorporating their use into the college music scene, developing FWBC’s electronic music center from scratch. 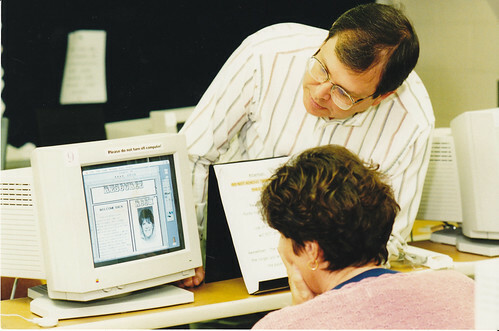 “I am quite sure I was the first person to bring a micro-computer onto the FWBC campus,” Platte said. 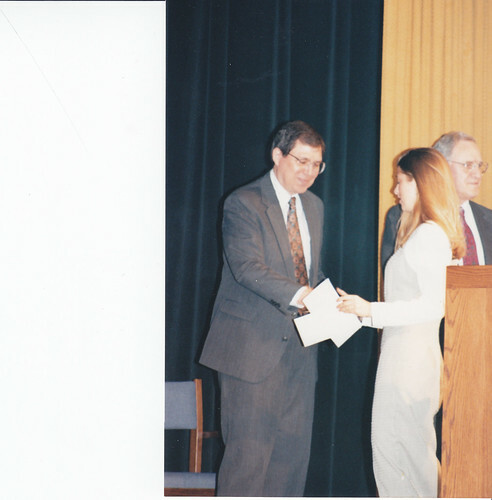 Platte’s contributions to the music department varied widely. 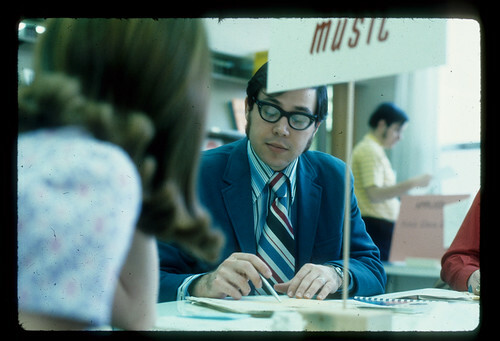 As part of his master’s project, Platte wrote an orientation guide for FWBC music majors. 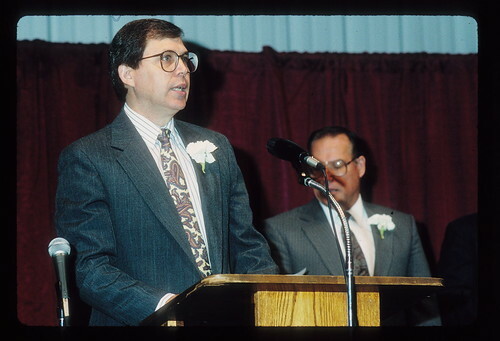 He played an active role in the development of WBCL as a member of the initial radio committee at FWBC. He was the recording engineer for Dr. Ira Gerig’s “Jesus Loves Me”. 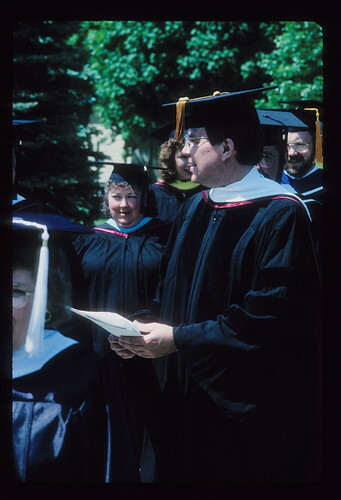 Shortly after he graduated, Platte received three full-time offers as head of various music programs. However, he felt compelled to remain at FWBC. 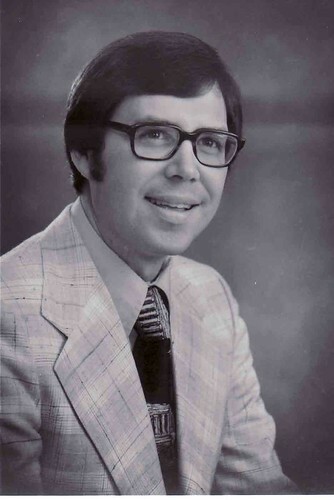 Platte became chair of the FWBC music department in 1972, a position he held for the next 20 years[K1] . 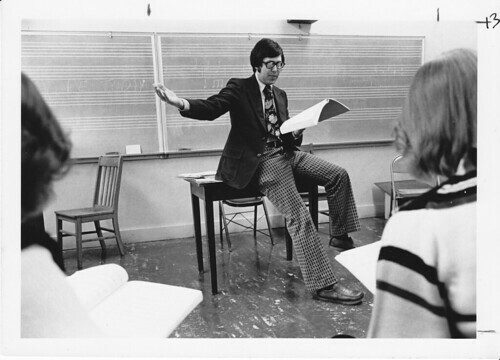 During that time he established high standards for music education majors, which included strong work ethic and commitment to the musical vocation. “I tend to be a driver,” he said, “and I expect a lot out of people, mostly because they have much more talent in them than they think they do.” Platte divided his time between the classroom, rehearsals, performances and administrative responsibilities. Today, Platte volunteers both as a Patient Assistant worker at Matthew 25 Health & Dental Clinic, and as Archive Coordinator at the Fort Wayne Alumni Center. His experience with technology has made him an invaluable team member, and during the past several years he has digitized thousands of photos, documents, and audio/video segments from the Fort Wayne campus for our online Archives. Platte manages the Resource Center website and trains volunteers. His devotion to the ministry of the Resource Center is a testimony to his deep connection with the campus, a connection that will never die. Jay and Shirley live in Fort Wayne. They have two married sons and eight grandchildren. Be the first to add your tribute to Jay.